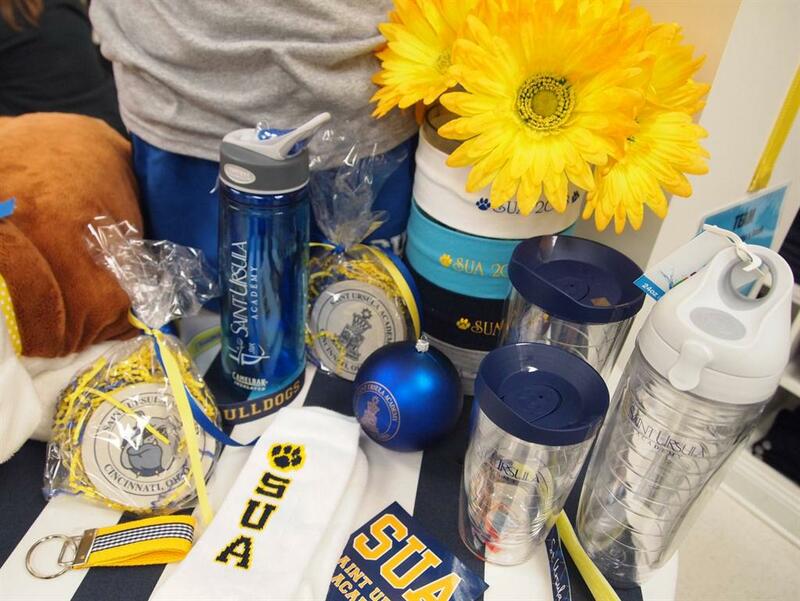 The DawgHouse carries Tervis tumblers and water bottles, Camelback bottles, stadium blankets, umbrellas, note cards, headbands, key chains, photo ID wallets, and sterling silver chapel door charms. Additionally, we have baseball hats, bulldog stickers and fatheads, 4x6 and 5x7 engraved frames in silver or brass that may be personalized at no charge, scrapbooks, and thermal coffee tumblers. We also have sport specific magnets and decals in a variety of sizes. Please visit the DawgHouse the next time you are on campus to see the entire line of items. If you are interested in placing an order, please call us at 513-961-3410, ext. 177 or email us at DawgHouse@saintursula.org. You may leave a message detailing requested items and we will return your call to get your payment information.